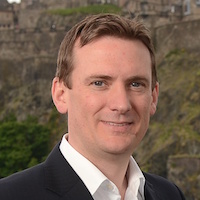 Edinburgh’s LendingCrowd has been named as the only Scottish company to join the prestigious Upscale programme, now in its fourth year. The six-month Upscale programme got underway last night by bringing all the companies together at the Farncombe Estate in the Cotswolds. It is designed to help fast-growth tech companies to successfully navigate the challenges of growing to the next stage. The challenges that most concern these growing companies include hiring and retaining talent, maintaining culture while scaling and expanding into new markets.